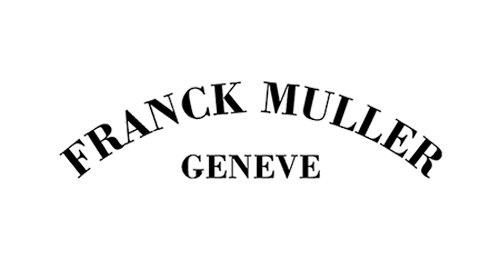 With just a few weeks to go before the opening of the WPHH (World Presentation of Haute Horlogerie), the Franck Muller brand continues to assert its supremacy in the realm of Grand Complications. It offers a sneak peek at two new creations providing a tantalising foretaste of the many horological wonders to be presented in January at the Watchland site in Genthod, on the shores of Lake Geneva. In less than 30 years, Franck Muller has established itself as the “Master of Complications”, and especially as the “Master of the Tourbillon”. 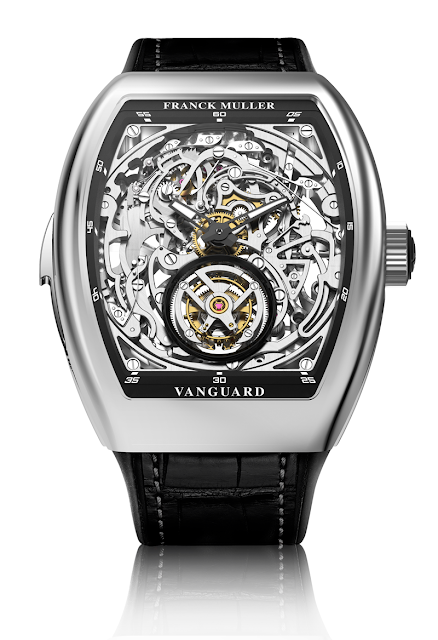 The first inverted tourbillon, the world’s smallest tourbillon, the first triple-axis tourbillon, the fastest tourbillon and the largest tourbillon ever made for a wristwatch: the list of Franck Muller world firsts goes on and on, each of them laying a new milestone in the field of Haute Horlogerie. 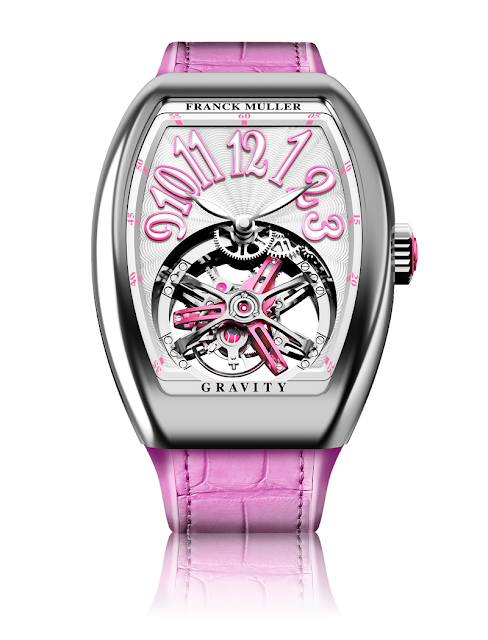 Further enriching its Vanguard collection, Franck Muller has taken up another challenge by introducing the first ever feminine interpretation of its iconic Gravity model: the V35 Vanguard Lady Tourbillon Gravity. Supported by a construction composed of alternating concave and convex bridges forming an ellipse, its spectacular tourbillon brings a colourful high-tech touch to women’s wrists, in a fascinating blend of exceptional mechanics and avant-garde technology.